How Do You Know if You're Addicted to Opioids? What Is Residential Opioid Treatment? What Does Residential Treatment Include? If you’re suffering from an opioid addiction or know someone who is, don’t wait to get professional help. If you don’t know where to start, researching available opioid recovery centers is a good first step. With a treatment facility that specializes in opioid addictions, you’ll be receiving care that’s more focused on your specific needs. How Do You Know if You’re Addicted to Opioids? Who Answers? to speak with a recovery support representative about treatment programs in your area and verify your insurance coverage. Opioid painkillers are prescribed to treat moderate to severe pain. They are safe and beneficial if taken as directed by a physician. But many people abuse or misuse these medications by taking more than the prescribed dose, injecting them or snorting them for their euphoric effects. Some commonly used medications in this class include oxycodone (Percocet, OxyContin), hydrocodone (Vicodin), morphine and codeine. 2 Heroin is an illegal opioid drug that is extremely similar in structure to prescription painkillers. In order to qualify as an opioid use disorder, opioid abuse must be problematic and cause severe impairment in the individual’s life. Below is a list of signs and symptoms of opioid addiction. 1 If you or someone you love has displayed at least 2 of these signs and symptoms within the past year, then you may be suffering from an addiction to opioid painkillers. More opioids are taken than intended or over a longer period of time. The person experiences persistent failed attempts to quit using opioids. The person spends an inordinate amount of time engaging in opioid-related activities. Severe cravings to use opioids are present. Opioid use interferes with work, home and school responsibilities. Previously enjoyed activities are abandoned for opioid use. Opioids are used in dangerous situations such as driving a motor vehicle. The person continues to use opioids in spite of psychological or physical issues caused by the drug. The person develops tolerance, meaning that they need to take increasingly higher amounts of opioids to achieve the desired effect, and they experience less of an effect with the same dose as before. Withdrawal symptoms are present with cessation of opioid use, and the person takes opioids to relieve withdrawal symptoms. Location: If the location is desirable, such as on an exotic beach, then the cost of the recovery facility may be higher than others. Length: Typical inpatient stays range from 30 to 90 days. But the duration can depend on your own needs. The longer your treatment, the more expensive it will be. Type: Residential treatment is typically more expensive than outpatient due to the room and board costs, as well as supervised medical care. Insurance coverage: Your insurance may cover all or part of the cost of your treatment. If you have insurance, call 1-888-319-2606 Who Answers? to verify what your provider will cover. If you don’t, contact the Substance Abuse and Mental Health Services Administration (SAMHSA) at 1-800-662-HELP (4357) to get referrals to programs in your area and to those that offer flexible payment options. There are a number of different ways to pay for your opioid addiction recovery program if you don’t have insurance or your insurance provides partial coverage. Medicaid, Medicare: These two programs cover some or all of the cost of substance addiction treatment. Crowdfunding: GoFundMe and IndieGoGo are two crowdfunding websites where you can raise money to finance your recovery. Health insurance exchange: A state insurance marketplace is available for you to shop for affordable insurance while comparing prices. Enrollment is available during certain times of the year. Payment plan/sliding scale: Some rehab centers will allow you to pay what you can only realistically afford to pay, while others create individualized payment plans that let you pay off the cost of treatment over time. Credit cards: You may want to consider opening a credit card to finance your treatment. Or you can apply for a healthcare credit card through a company such as Care Credit. Residential opioid addiction treatment centers require that you live at the facility for the duration of your recovery program. Programs typically last between 30 and 90 days, but they can be extended to accommodate your needs. Residential rehab centers are helpful for those suffering from a moderate to severe opioid addiction who wish to be separated from their everyday, using environments to focus solely on recovery. Inpatient treatment stays are typically 30 days, 60 days or 90 days but can be customized depending on needs and life situation. These centers provide daily therapeutic and medical care. Once you are admitted to the treatment center, you will be evaluated for any co-occurring mental health disorders. A team of mental health professionals will devise an individualized treatment plan for you. Cost: Inpatient treatment programs tend to be more expensive than outpatient programs. If you have insurance, call our helpline at 1-888-319-2606 Who Answers? to verify what your insurance will cover. If you don’t have insurance, contact the Substance Abuse and Mental Health Services Administration (SAMHSA) at 1-800-662-HELP (4357) to get referrals to facilities that serve people without insurance. Location: Consider whether you would like to travel to escape your current environmental triggers or stay closer to home. Inpatient treatment facilities are available all over the country. Many people in Texas, California, New York and Florida seek addiction treatment every day. Dual diagnosis: If you suffer from a co-occurring mental or behavioral health disorder, or suspect that you may have an underlying condition, then make sure to seek out a treatment center that specializes in treating your opioid addiction and the other disorder. Visitation: Consider whether you’d like your family and friends to be able to visit you while you’re in recovery or if you’d like to be able to focus on your treatment alone. Credentials: Confirm that all staff members are credentialed and licensed to treat opioid addiction. Detoxification: If you suffer from an addiction to opioids, you will most likely want to find a treatment center that offers detox services as well, in order to comfortably manage your withdrawal symptoms and rid your body of the substance. Philosophy: Consider what kind of philosophy the inpatient recovery program uses when treating individuals. Some facilities have a more religious-based program, while others use evidence-based practices from scientific research. Aftercare: The best opioid addiction treatment centers will offer extensive aftercare plans to be followed once you complete your stay. These plans will decrease your risk of relapse and help you continue to build coping skills. Business amenities: These centers provide you with meeting rooms and workspaces, as well as Internet access and phones. High-end services: Much like luxury treatment centers, executive facilities offer many upscale services such as yoga, spa treatments and private and spacious rooms. 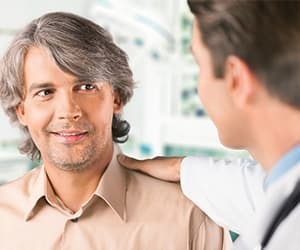 More personalized care: Executive treatment programs typically have fewer patients at the facility, which means that the staff can provide more personalized and attentive care. Confidentiality: This allows executives to remain anonymous while receiving opioid addiction treatment so as not to negatively impact their professional or personal lives. Intake evaluation: Intake consists of an initial meeting with a therapist in which he or she will evaluate the nature of your opioid addiction as well as diagnose any co-morbid mental or behavioral health disorders. This allows the facility to devise an individualized treatment plan for you. Nausea or vomiting and diarrhea. Therapy: You will meet one-on-one with a therapist who will assess the root problems that influenced your opioid addiction, while helping you to build healthy coping skills to use in the face of triggers. Therapists use a number of different therapies to treat an addiction to opioid painkillers. Contingency management: 5 This therapy is based on rewards for positive or desirable behaviors (refraining from using opioids or other substances). It encourages you to maintain abstinence and demonstrate healthy patterns of coping. Community reinforcement: 6 This is an outpatient program that uses tangible rewards in combination with recreational, social and familial rewards to reinforce a sober lifestyle. Aftercare: Your therapist will create a plan for you to continue your sober living upon completion of opioid addiction treatment. Aftercare could consist of different forms of treatment and decreases the risk of relapse while helping to build on the skills you learned during initial treatment. Alternative support groups (SMART Recovery, Secular Organizations for Sobriety). Outpatient opioid treatment centers a good option for people whose addictions are not severe enough to warrant an inpatient stay, or for those who can’t leave their day-to-day lives behind. The main advantage of receiving treatment through an outpatient program is that you can still attend to your daily responsibilities while you also treat your addiction. At an outpatient center, you’ll receive support as you go through the processes of detoxification and treatment, but you’ll still be living on your own. While outpatient opioid treatment facilities may be more convenient, many people feel that inpatient programs provide a more concentrated approach that can be more effective in treating addiction. At an inpatient facility, you have regular access to qualified doctors, nurses and therapists who can provide medical attention or any other kind of support. Depression, PTSD and conduct disorder are risk factors for developing an opioid addiction. Some recovery centers specialize in dual diagnosis treatment. If you suffer from co-morbid mental or behavioral health issues or poly-drug addiction, it’s important that you seek a level of addiction treatment care that will address the entire spectrum of your issues. Receiving thorough dual diagnosis treatment can serve as a protective factor in preventing relapse. An opioid addiction can harm your mind and body in many ways. If you’re ready to get help for yourself or someone you love, contact a treatment support specialist at 1-888-319-2606 Who Answers? to learn more about rehabilitation options.
. National Institute on Drug Abuse. (2014). What are opioids?
. American Society of Addiction Medicine. Opioid Addiction 2016 Facts and Figures.
. Kosten, T., & George, T. (2002). The Neurobiology of Opioid Dependence: Implications for Treatment. Science & Practice Perspectives SPP, 1(1), 13-20. Retrieved February 2, 2016.
. National Institute on Drug Abuse. (2012). Contingency Management Interventions/Motivational Incentives (Alcohol, Stimulants, Opioids, Marijuana, Nicotine).
. National Institute on Drug Abuse. (2012). Community Reinforcement Approach Plus Vouchers (Alcohol, Cocaine, Opioids).